Support the stream: https://streamlabs.com/amazingpropheciesmarkfox Just days ago the Doomsday Clock was announced to be at 2 minutes to Midnight! 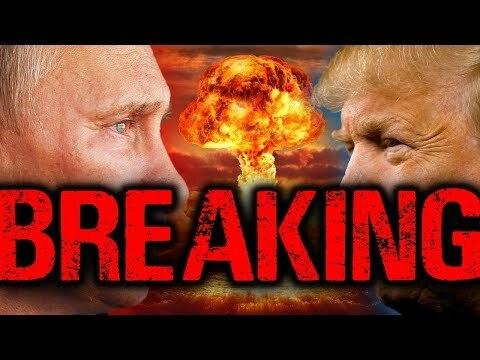 And now this: Breaking End Time 2019: U.S. President Trump Ends Nuclear Agreement with Russia – WW3 Looms? This is a breaking end time 2019 report: Well go to bed tonight and wake up tomorrow and you may not recognize your world. Russia and the United States are staring down at each other with missiles in their hands. The Bible said it would look like this just before the Second Coming. Bible Prophecy is fast fulfilling! These are apocalyptic times! What does the book of Revelation say about what is unfolding between the superpowers today? Stay tuned.